Currently, we are accustomed to carrying a frenetic pace where hours are missing in the day to perform all the tasks we must carry out. In addition to an evident fatigue, this lifestyle generates a stress that is difficult to get rid of. Therefore, a few days of vacation become a real necessity. However, on these dates we want to enjoy free time and do a thousand activities forgetting, once again, the importance of well-being. At Villanovo we have a multitude of properties that offer services and spaces for those days to think about yourself and disconnect from the world for a few moments. Your body and your mind are asking you, what are you waiting for to listen to them? Discover true relaxation in our villas! 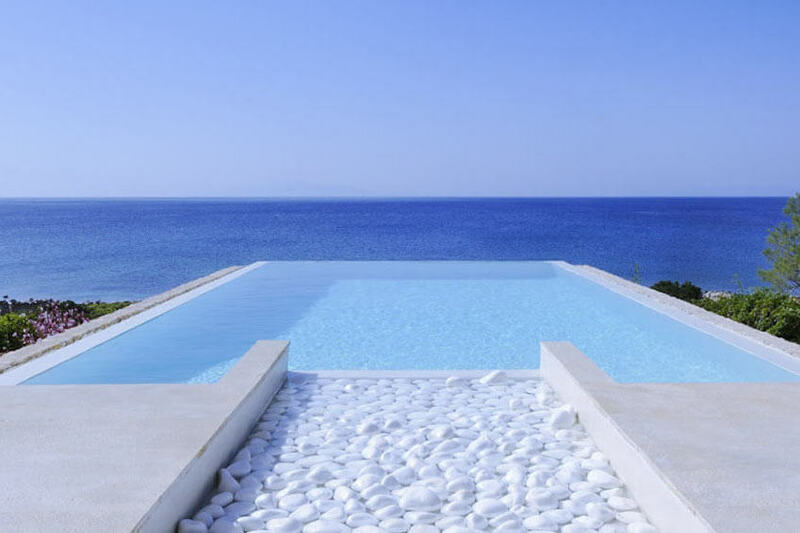 If it is already a luxury to have a private pool, imagine the moments of tranquillity that a heated pool can give you. It will not matter what temperature you are in or what season you are in because you can always take a dip! Swimming without thinking about anything else is a whim that must be granted. There are many villas that have this facility that will undoubtedly offer you moments of relaxation where vacations will make more sense than ever. In addition, you can share this pleasure with the family, the children will always be willing to get wet and invent games in the water. To fully enjoy those long-awaited days of rest, having domestic staff so you do not have to move a single finger is the ideal option. And if there is also a person in charge of preparing delicious recipes, it is perfect. Not having to take care of household chores is a plus that will be greatly appreciated during the holidays and a luxury that should be allowed. Yoga is a physical and mental discipline that is becoming increasingly popular. And, in addition to the benefits it brings to the body, promotes concentration, inner peace and emotional stability. In the extraordinary Villa 742, located in Ibiza, there is a space dedicated to the practice of yoga. Enjoy alone, as a couple or with the whole family all the good things that it has to offer, it will be a unique experience, especially for the little ones of the house! Elimination of toxins, reduction of tensions and an absolute pleasure. 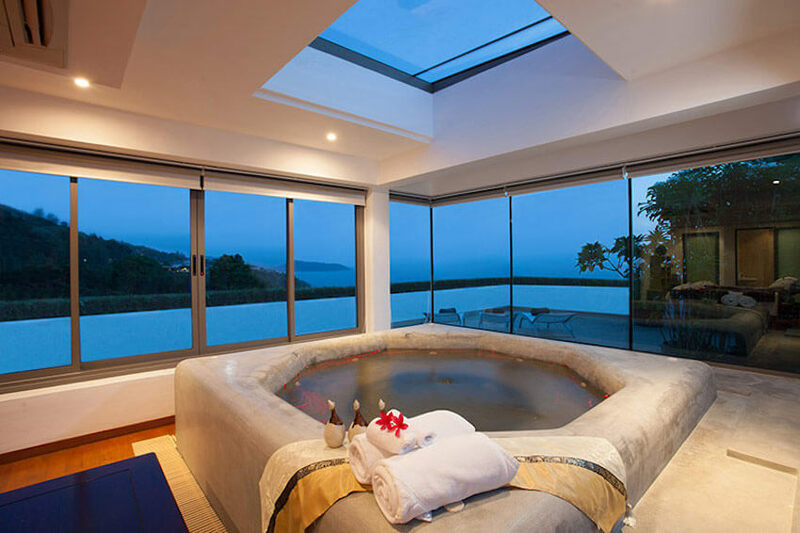 This is what it offers to have a jacuzzi in your luxury home. It seems that in the bubbles life looks different, with a more relaxing environment. You will find villas where, in addition, the jacuzzi is located outside to enjoy unique views. Accompany this moment with champagne and some strawberries, alone or as a couple. What more could you want? When talking about relaxation and well-being, we immediately think of a massage. There are many types according to the objective you want to achieve, but what you can be sure of is that all of them will make you, for a few moments, feel alone in the world, away from the problems and accumulated tensions. In some of our villas you will find massage rooms that will be your particular temple of well-being and, probably, one of the things that you miss the most when you have finished your vacation. Enjoy it, you deserve it! One of the best things about vacations is to enjoy doing nothing. 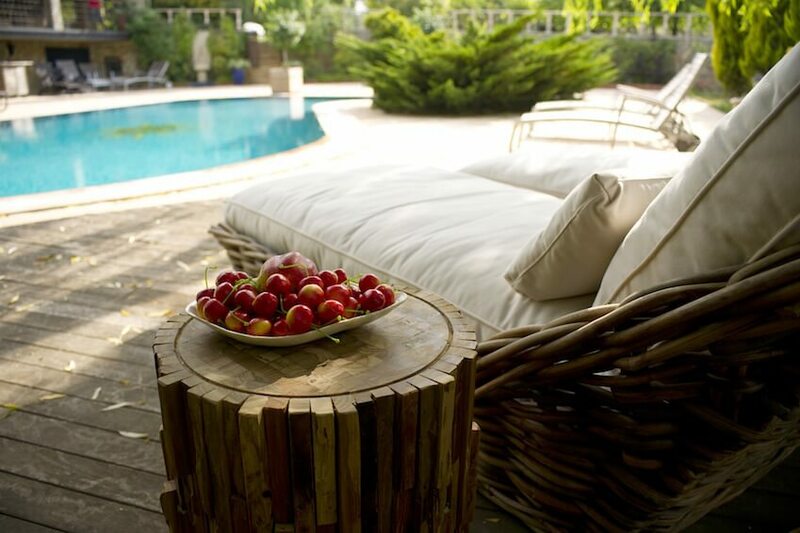 A sun lounger and the sun's rays doing their job will be enough for a relaxing time in the sun. Tanning, closing your eyes and assessing that tranquillity will make everything suddenly different. Enjoy the sun in any of our destinations! Physical activity is also essential for body care and, above all, to feel good about oneself. 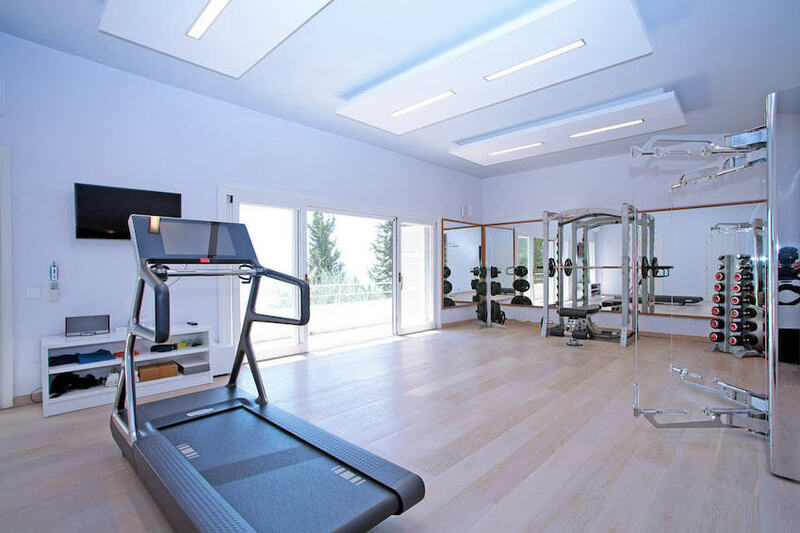 If you are one of those people who refuse to give up the sport during your holidays, you will be happy to know that many of our properties have their own private gym and all the necessary equipment to continue to stay in shape during those days of rest. And if you are a beginner and want to take this opportunity to get started in the world of sport, you can also do it, since you will find machines adapted to different levels. Having this space at home makes it much easier to lead a healthy life! A relaxing bath with hydrotherapy treatments awaits you in some of our villas. Bubbles and jets will be responsible for playing the function of a whirlpool to relieve some pain. The hot water will relieve fatigue and improve blood circulation. And all this you can get without having to leave your home. It sounds good, right? And what do you think of trying Oriental rituals of body cleansing? Yes, we talk about the well-known hammam or steam bath, which promotes blood circulation, reduces stress, dilates the pores, clears the respiratory tract and, most importantly, will make you feel totally relaxed and with renewed energy! 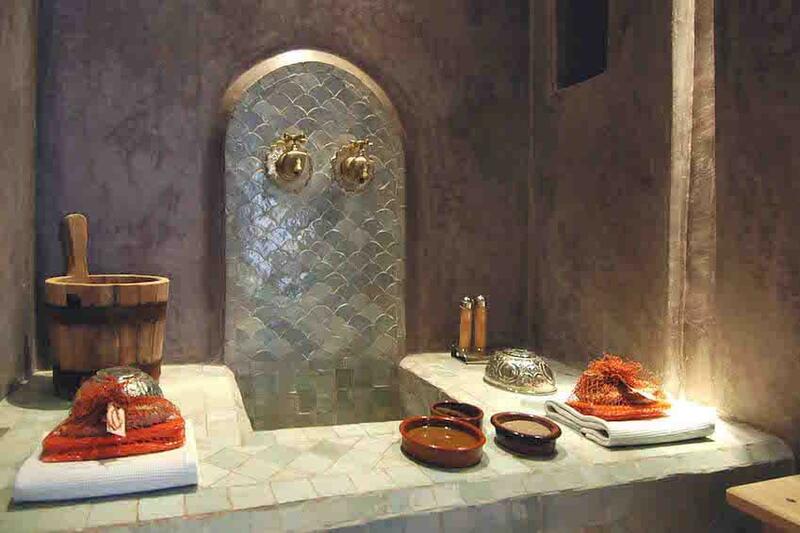 Although you may think that this is a service that is only obtained in Morocco because of its tradition, you will be pleased to know that in France we also have properties that have a hammam, as well as in Switzerland and Austria. There is no excuse for not trying it! 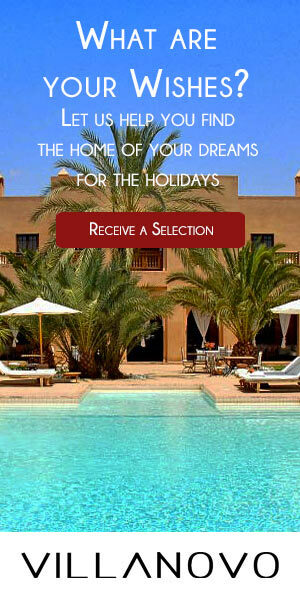 At Villanovo we want your vacations to be an unforgettable experience. Therefore, we have a luxury concierge service. You can send your wishes to our team of experts and they will do everything possible to fulfil them. Almost everything is possible, so do not hesitate any longer and contact us. Your tailor made vacation is just a click away!